CREST-FALLEN Bachelorette runner-up Jarrod Woodgate is still reeling after having his heart crushed by Sophie Monk - and he wants her to know, the door is still wide open. "Right now if Sophie was to call me and say, 'let's catch up for a drink?' I'd do it. Because I'm always going to be there for Soph, even if it works out or if it doesn't," said Woodgate, whom fans dubbed a "stage five clinger" for his obsession with the star. Sophie Monk and Jarrod Woodgate enjoy their first date. "Just because we say 'goodbye' doesn't mean we say 'goodbye' to our friendship. "I'm still there for Sophie and I will be because it's a heartbreak. In my eyes, it's as big as (sic). I'm still very, very soft. It's raw," said the 31-year-old vineyard manager from Melbourne. 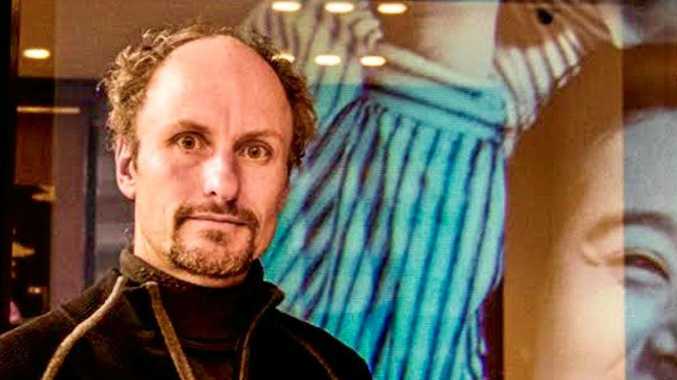 Two months after filming the finale where Monk chose Stu Laundy as her winner, Woodgate is "still processing" the events that played out on those Fijian sands. "I had the biggest smile on my face," said Woodgate, comparing the finale to his "wedding day". "We walked up the sand and Sophie's talking to me and I felt there was a vibe that wasn't quite right. And she looks down, down to the left, like to the sand, and you feel there's a 'but' coming I had to turn away and say, 'this hurts'." Jarrod Woodgate gives Sophie Monk a pair of Ugg boots as a sign of his love. Woodgate said he was "110 per cent" confident the relationship would go ahead between them. Until suddenly, his world was turned upside down. "I definitely felt sick. I'd gone from 110 per cent down to five per cent. "I had some tears. And we just stood there and we were looking at each other's eyes, holding hands, and then we said our goodbyes," he said. 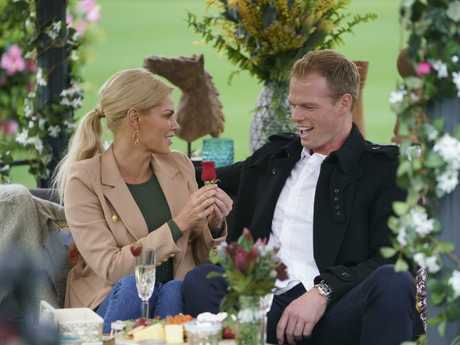 Jarrod Woodgate could barely contain his excitement when Sophie Monk presented him with a rose. Woodgate is still in touch with Monk and said he has no intention to date for a little while. "I'll just get through tonight and the next couple of weeks. I'm just focusing on the heartbreak, more than anything else," he said. He's also got a message for all the fans who sledged him. "I"m not a stage five clinger, just ask my mates. I'm a menace. A stage five clinger is not me," said Woodgate. Sophie chooses Stu: Who would have guessed?